The advanced reading copy (ARC) of Baker Street Irregular by Jon Lellenberg is going to press today. Attached is the cover layout which features cover art by Laurie Fraser Manifold. The graphic design by Pat Visneskie of Volumes Publishing in Kitchener Ontario. The publication date is November 2010, and the edition itself will be produced by the Maple Press in York, PA. This is the first Arkham House Publication since 2006, and this is a book published under the M&M imprint. This week has been hectic for me — a trip to the printer to pick up books for a book launch next month and delivering them to Toronto safely. 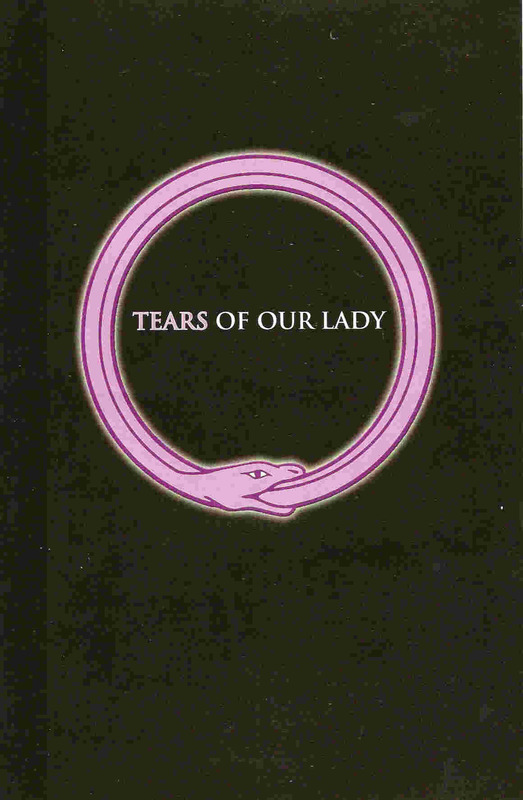 I also visited John Robert Colombo to show him a new cover featuring an ourburos (linked serpent) for a volume Tearsof Our Lady and this serpent will be delicately tattooed on the left ankle of a certain International Woman of Mystery, a character created by Sax Rohmer 60 years ago named Sumuru. Now the first volume in the series used macrons over the first and third U in her name thus — Sūmurū. Now I can find this character in my wordprocessor, but I can’t find this special character here in this blog. I suspect I can find it in HTML code, and I will look before publishing this, but TMI (too much information, but I found it!). But in any case an editorial decision was made to remove the macrons altogether throughout. The next task was to discuss the proposed Dustjacket for The Sumuru Omnibus with the artist Laurie Fraser Manifold and I did that earlier today. Will share the result when it is in hand. I am also spending too much time at the keyboard — I suspect this is a common affliction of bloggers, and I then remembered that this was February — a month of melancholy for a number of people who live in the snowbelt, a month of cabin fever if there is too much inclement weather, and a month to contemplate driving south in March to Florida. And so how to break the tedium of typing, the mind numbing scanning if you don’t have an automatic feeder and the proof reading to expunge those “m” for “in” errors that always tend to creep into the finished document? Well I decided to design a bookplate for myself. 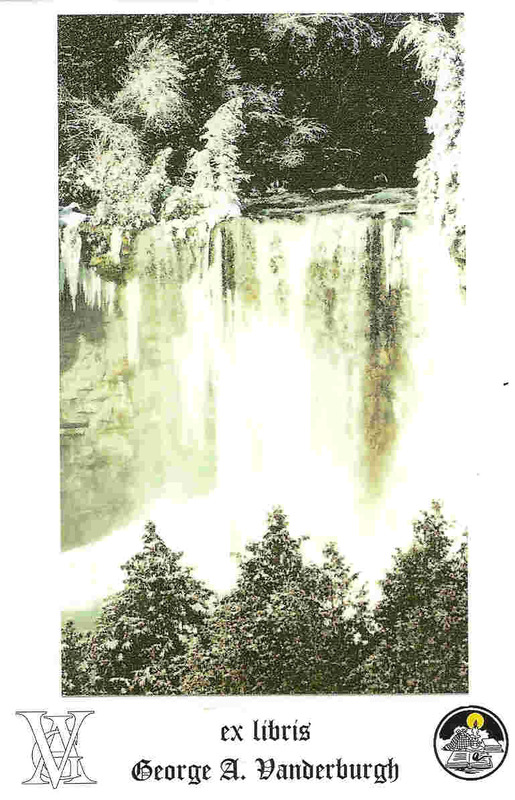 I selected a photo of Eugenia Falls in winter. This is a landmark very close to my home, and also the site of a false Gold-Rush over 150 years ago. and I post the result here as well. The two images send my black dog of winter running away across the snowswept, frozen lake, and the candles flicker in the hearth.